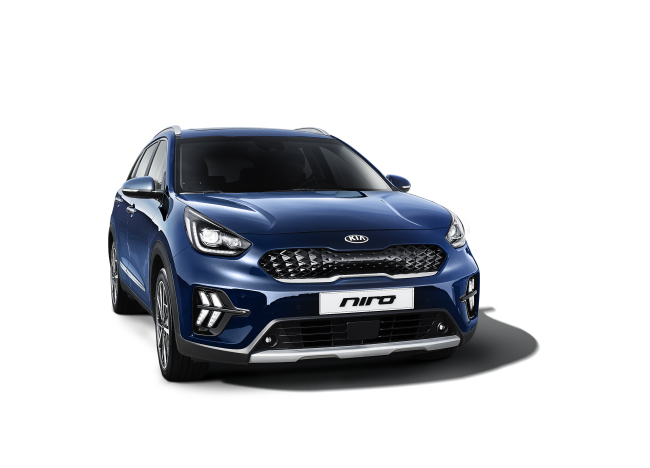 Niro, Kia Motors’ environment-friendly sports utility vehicle launched in 2016, made a comeback Thursday, featuring a new driving assistance system and upgraded design with bold, futuristic feels. The New Niro’s new safety features include Kia’s driving assistance program brand Drive Wise. It was developed by the automaker to offer options including stop-and-go capability for the adaptive cruise control and lane-keeping assist functions. Kia said the lane following assist function will work on all kinds of the road including the highway, which will increase the driver’s convenience. The company also focused on upgrading the New Niro with a bolder image as an environment-friendly SUV. Most recognizable at the front for both the hybrid and plug-in hybrid Niro models are redesigned headlights and a new bumper with arrow-shaped LED daytime running lights. For inside, Kia Motors said it has renovated under a concept of seamlessness. The dashboard materials have been upgraded with more soft-touch finishes, along with new optional 10.25-inch touchscreen that uses new software. The price range starts from 24.2 million won ($21,446) for four trim levels of the hybrid model and 34.5 million won for two trim levels of plug-in hybrid models including VAT. The colors come in six options including horizon blue.